Land is an art gallery and gift shop located in the historic Mississippi Neighborhood of Portland, Oregon. Land is thrilled to be back at Crafty Wonderland, supporting this great event featuring 250+ artists selling handmade goods. 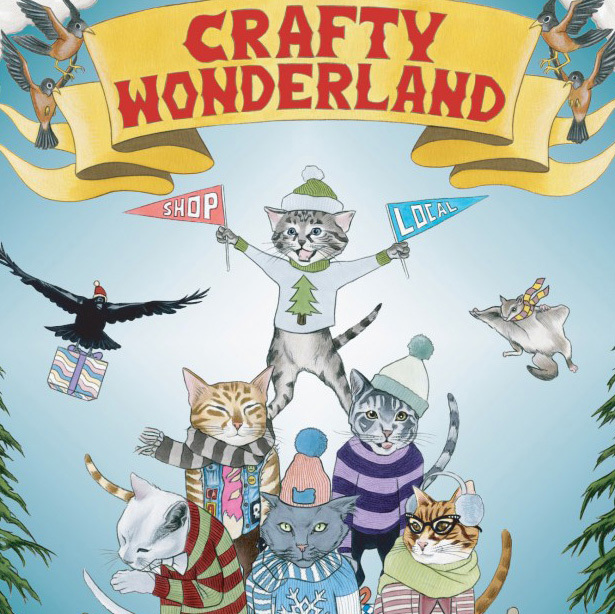 The first 150 shoppers each day to Crafty Wonderland get a free exclusive Nikki McClure Crafty Wonderland tote. We are thrilled to be bringing two of our favorite artist-authors to the event for book and print signings. Get your copy of two great children’s books inscribed by the author. Nikki McClure signing her 2017 calendars and her book Waiting for High Tide. New York Times Bestseller Emily Winfield Martin will be signing her new book The Littlest Family’s Big Day.